Dr. Irfan Khan and his team welcome you to our dental offices located in Columbus, Grandview, and London/Springfield. We provide a full range of services for adults and children. Enjoy our non-judgmental, friendly atmosphere and let us be your family’s dental home in the Columbus area! “Best dental experience I’ve ever had..."
If you are missing one or more teeth, dental implants might be the best option for you to regain functionality and restore the beauty of your smile. Improve the appearance of your smile with our cosmetic treatments such as teeth whitening, porcelain veneers, and cosmetic bonding. Having a dental injury or an infection can be very painful, and we oﬀer immediate assistance with our same-day emergency exams. If you experience fear or anxiety when you have to go to the dentist, we offer sedation options to help you relax during a procedure. 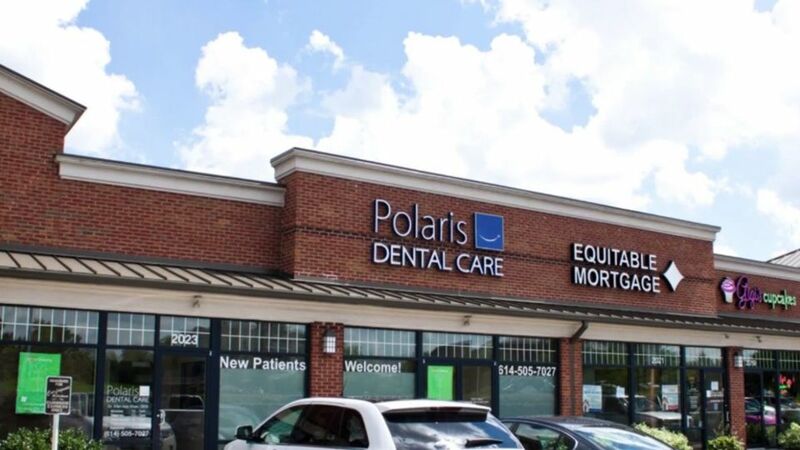 Why Choose Polaris Dental Care? We are open evenings and some Saturdays. No need to take time from work or school to attend your appointments! Our comfortable offices oﬀer a coﬀee station, a kids’ TV area, and a TV in each treatment room. We are in network with many insurances and will always work with your insurance company to help you get the most from your benefits. We use advanced technology including low-radiation digital x-rays, Diode Laser, and computerized charting for accuracy and security. No insurance? No problem. We oﬀer generous discounts to help you aﬀord the treatments you need and want. Dr. Khan and his team stay up-to-date with the latest dental methods and take 6-7 times the amount of education our state requires. “Best dental experience I’ve ever had! From the front desk staﬀ, to the hygienists, to Dr. Khan himself - everyone in this practice is incredibly professional, competent, and kind. I feel like I’m in really good hands when I’m there. I’ve never had ANY pain while Dr. Khan flls my cavities - not even with the numbing shot! They rub this numbing gel on your mouth where the shot will go so you hardly feel anything. And he works really fast, so you don’t sit there with your mouth hanging open forever. Plus, the ofce is gorgeous - I don’t even feel like I’m at the dentist! Flat screen TVs on the ceiling so you can watch while Dr. Khan works on your mouth! So glad I found this place. Recommend 100%."